I hate heels. But I’ve always admired the Mindy Lahiris and Carrie Bradshaws of the world who effortlessly glide through bustling, metropolitan cities while wearing them. What even is that? How? 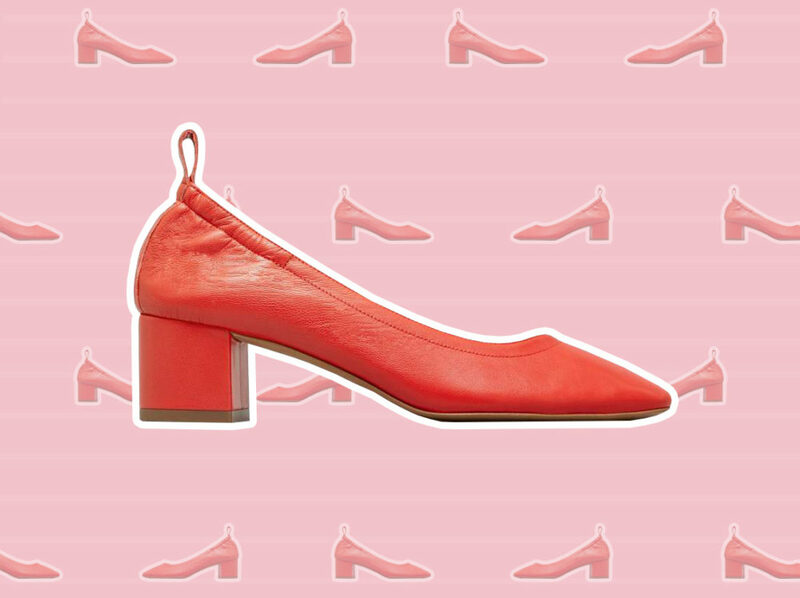 My hatred of these painful death contraptions came to end, however, once I invested in Everlane’s cult-favorite day heel, which once had a waitlist of a whopping 28,000 people. 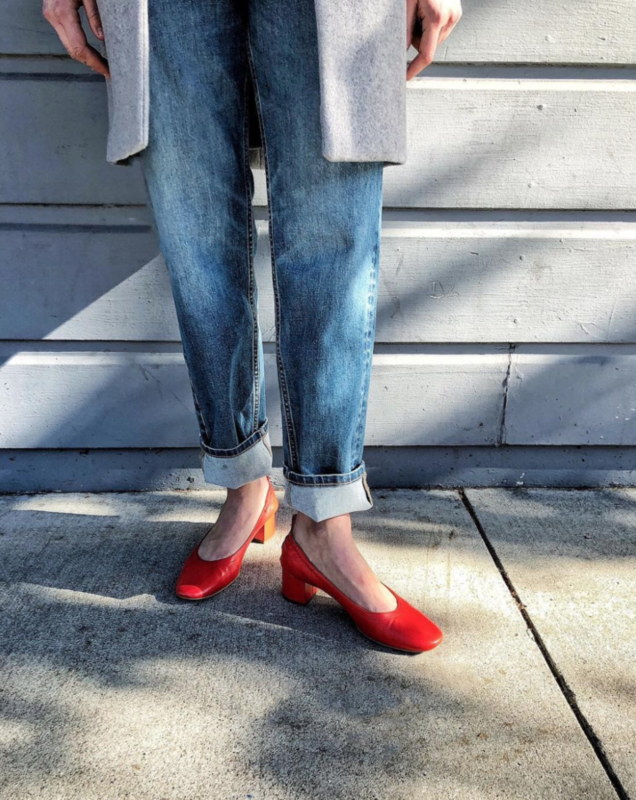 I mulled over the wise words of Donna Meagle and, after admiring these heels from afar for several months, treated myself to a pair in bright red. With block heels that were just the right height, they elicited the Parisian chic vibes that instantly transported me to the cobblestoned avenue of Champs-Elysées — fresh baguette and beret in tow. And so, there I was, wearing heels that I harbored a deep Nicholas Sparks novel-type love for (minus the overwhelming whiteness and mysterious diseases). Me, wearing heels — shoes I had once considered painful inessentials probably thought of by a man. What a concept! My bliss was brought to a halt once the heel of my foot flew out of my Everlane day heels mid-walk. While true to size, I found that the heels didn’t accommodate my lifestyle as a serial power walker. It’s a thing, OK? So, since I possess the anxiety-driven tendency to overanalyze every little thing I do, this realization made me rethink my own ingrained characteristics. Why am I always in such a hurry? Yes, power walking has helped me seamlessly navigate overcrowded amusement parks and concert venues thick with smoke. I zigzag around other humans with a precise science. It’s an art form, really. But am I zigzagging around my own life? Metaphorically speaking, am I overlooking scenic backcountry roads and flowing river banks while I navigate the carved-out path to the mountaintop? Am I evading moments that weave together the very essence of life — eyes constantly set forward, oblivious to my surroundings? As I read sonnets and sing along to ballads about living in the moment, I’ve learned that I have absolutely no idea how to live in the now. How does one live in the now? At which point in our lives do we transition from carefree children, chasing nothing in particular, to afraid adults constantly chasing something? Constantly chasing the next big thing as we measure ourselves against others. In such a hurry for the next achievement, we’re unable to appreciate the now. With my bright red day heels, I am forced to slow down. I walk more slowly; my foot will fly off the heel otherwise. Perhaps they will make me live more slowly. Or at least live in what’s happening now.